About three years ago I was in Phobjikha Valley, in central Bhutan, in search of the rare white stroked crane. [S2] I was told they had just descended from Tibet for the summer. Early the next morning I awoke to their distinctive call drift into my open window, through the thick mist outside. The morning light had still not broken and I quickly put on my jacket, and with a torch and binoculars, stepped out in the direction from where their calls came. As I moved forward, the crane calls were coupled with a faint thumping sound as well. As the thumping grew louder, I realised it was following the rhythmic sound of a song. On going further, I saw a group of men and women standing atop a wall they were building and hammering their rammers; they were making a rammed earth wall. [S3-S7] I learnt they gathered every morning for three hours to make her house, after which the owner, a single woman, fed them butter tea and ema datshi and they then went off to work for the day. Closer to home, in the Aravalli Range that enters Gujarat from Rajasthan I saw the Bhil people build rammed earth homes for one another. [S8] Over the past five years, we have done housing studies to recommend designs to five state governments and consistently everywhere communities come together to help one another to build. In Kutch where I come from, this practice is called ‘Abhat’. [S9] They make homes, wells, clear fields, anything where the trust and faith of a group, the social capital can be realised for mutual benefit. [S10-S19] This is generally a system that can be found amongst tribal and pastoral communities across the Asian subcontinent. I am sure it is a practice that was prevalent across the world. It always ends with food, bidis/cigarettes, a locally brewed wine in some communities and celebrating the feeling of camaraderie. In caste-based societies, the task of building was specialised by a particular group like the Gajjars, Mistris, Meghwals etc. They took responsibility for the home they built through its life cycle and were called upon to design modifications and additions to the home. They also received patronage, particularly from the trading communities and became skilled craftsmen in decorating buildings in stone, wood and metal. It is the same communities who come into our cities to build for us today; 35 million such artisans and builders (30% of our population). A recent study by Prof Dileep Kumar from Pune, [S20] shows that only 3.6% of us pay them even the minimum wage; 64% of us pay them only Rs50-100/-, only one-third of their prescribed due. We get them to work 10-11 hours and do not even pay them any overtime (66%). We do not give them any housing (66%), water (80%), electricity (71%) or basic sanitation (74%) while they work for us. We do not provide crèches (80%) for their children; and our industry ensures that 74% of their children are not even literate, robbing them of a better future. Never mind developing a relationship with them, we have not only disrespected their knowledge and skills as builders but our designs are built on insulting basic human dignity! If this is the idea behind our modern buildings; I was prepared not to become an architect. I did not know how to break through this conundrum; the building industry is so organised and the role of the architect so carefully placed at the very top of the construction chain that these artisans seemed too far away. I did not practice architecture for fifteen years, and would not have but for the earthquake in my city in 2001. As we organised the communities to rebuild, a group of tribals came looking for work. I want to share with you the story of Rakesh Vesta,[S21] from a village in Madhya Pradesh. He is a skilled earth artisan who has built his own house in cob. But from the age of fifteen, he sold tea, worked as a labourer at the grain market, laid sewer pipelines in Ahmedabad and built roads and highways. With his team from Madhya Pradesh he helped us build 600 homes [S22-S26] for the less fortunate migrant dwellers in my city who were left homeless after the quake. We were building in earth – rammed earth, and as the tractor loads of earth arrived on site, Ramesh hesitatingly said, “This soil is not good Sir, it has traces of salinity in it!”. We tested it and it was in fact marginally saline, sufficient to erode the wall over time. Thereon, he was made quality supervisor for the project. After the project, we asked him if he would consider forming a company along with his colleagues. It would give him negotiation power in the market apart from due respect. He was hesitant and continued for another couple of projects with us as a labourer, after which he entered into partnership with eight of his relatives and friends. We worked with him on standardising the technical parameters for stabilised earth blocks, adobe, wattle and daub, and rammed earth. He brought his brother who did not clear seventh standard to learn accounting from our finance head at Hunnarshala. We trained them to do rate analysis and quote for projects while our interns taught them how to read drawings. [S27-S28] Some of the projects he has delivered include Jetavan – a Buddhist Learning and Skill Development Centre for Sameep Padora at Sakarwadi. [S29-S41] Today, he runs a company with a turnover of Rs. 20 lakhs and provided intermittent employment to 100 others in his village. In 2012, he led a team to Abu Dhabi to restore two royal 17th century forts for the Sheikhs. [S42-S52] A team of 100 artisans from India lent their skill and expertise in adobe that won Al Ain city and its buildings a UNESCO status. [S53-S54] In 2005 he went to Aceh, Indonesia after the tsunami which also saw the end of a 30 year old Aceh insurgency in Indonesia. It was a unique opportunity to train the survivors to set up an enterprise in making of stabilised earth blocks for rehabilitation. Hunnarshala has helped several such artisans who work in twelve such companies today. [S55] They aggregate a turnover of Rs1 crore (10 million) annually. The second idea talks about how in the last few decades urban buildings worldwide have taken to building a smaller carbon footprint. After all our industry contributes 30% of all greenhouse gasses and it is slated to double in the next 20 years. There is however a dilemma around ‘green’ buildings – the rich want to simultaneously be consumptive and have a low carbon footprint. While there are a range of recycling and renewable technologies available today, there is negligible reduction in the consumption of energy or water or material. The poor are aspirational and they do not know that it is ‘fashionable’ today to live in a house made of earth! But the world is not all black and white; there are many poor who swear by their traditional ways of building even with altered lifestyles. Today, there are thousands of youngsters questioning the very foundations of the industrial market economy. Hunnarshala‘s green technologies’ genesis lies in the rich living traditions. Every year for the past fifteen years we have come across several building techniques in our villages that have potential for city folk to learn from. A master artisan from the tradition helps with our research to make it available for the world to use. Today, I would like to share with you all a few of them. Our latest revelation came from western Uttar Pradesh – the shallow masonry domes. [S66-S67] What is special about these domes is that they are shallow enough to flatten the top and make another story above. The technique enables a load bearing building to use 70% less steel, has a longer life span than RCC and is 25% cheaper! This more than five hundred year old tradition of building cloister or shallow domes, on any shape of room, was also practised in southern India but not anymore. When we were helping the riot victims of Muzaffarnagar rebuild their lives, we asked their Master Mason, Nawab, who was also a riot victim to show us their abandoned homes. [S68-S69] Here is where we discovered these amazing domes. [S70-S94] Nawab, along with researcher Samuel Wilson from MIT, is involved in an exciting research to standardise the technology. He helped us build the first house for a slum rehabilitation program in Bhuj using this technology. [S95-S97] Today he is helping Laurent build a public building in Orissa; this is the first time he has stepped out of his region and for the first time, we have a viable alternative for RCC. I am about to share with you three unique ways of making homes ‘green’ and safe in earthquake prone areas and; all derived from our living traditions in Kutch, Uttarakhand and Kashmir. The third idea that is core to our architecture is the process of design. Design is an expression of what we value as a community. In India most homes and neighbourhoods are still built without architects. Unfortunately and ironically in a democracy, the market forces have shrunk the space where communities gather to discuss and articulate what they value. Caste based congregations are still struggling to find a base to reorganise. In our cities, it is the real estate which determines the fabric of our neighbourhood while in villages they still prefer the security and cooperation of their community. This is how they maintain an evolved trust and social capital that permits discussion on abstractions like what they collectively value and how it could be expressed through design. Traditionally communities made incremental changes in response to changing opportunities, values and lifestyle. We at Hunnarshala try to widen these spaces for community discussions to concur, and express their collective identity. [S151] We recognise the strengths of their own traditions, new materials and introspect on what they value. Sometimes ideas emerge from the dignity of their own identities. But very often they pose ‘unresolved questions’, and we respect that as they are happy to have designed their own homes and are comfortable to live with an unresolved conundrum. Hunnarshala Foundation is collective of professionals, artisans and craftsmen. From a campus in Bhuj, they involve themselves at the grassroots to respond to situations that are central to the social, cultural and economic landscape of India. By working with carpenters, masons, smiths and people in the building trade, they invest in vocational training, skill development and research on tacit and traditional systems of knowledge. They consistently work with communities with an idea of inclusive development, contributory planning and resilience against climate change. What a wonderful talk, and overview of the work of Hunnarshala. Thanks to Matter for compiling this and making it accessible. Thanks a lot for making available to the wider public the transcript of this great lecture by Sandeep Virmani. The entire work of Hunnarshala breathes with these ideas, but it does no harm to read them expressed in black-and-white ink. I wish to point out a minor factual error in attributions, which should be corrected: I am not from MIT. The study from MIT is a Master degree by Samuel Wilson. I am an architect using shallow domes in my projects since Sandeep Virmani and his colleagues generously introduced me to this technique and to the master masons who have invented it. Thanks Laurent for pointing that out. We hope you enjoyed the read. It is heartening to know the reach and impact of Hunnarshala’s efforts. We would love to hear from you if you wish to share your experiences with Sandeep Virmani and the Hunnarshala team during your time in India. 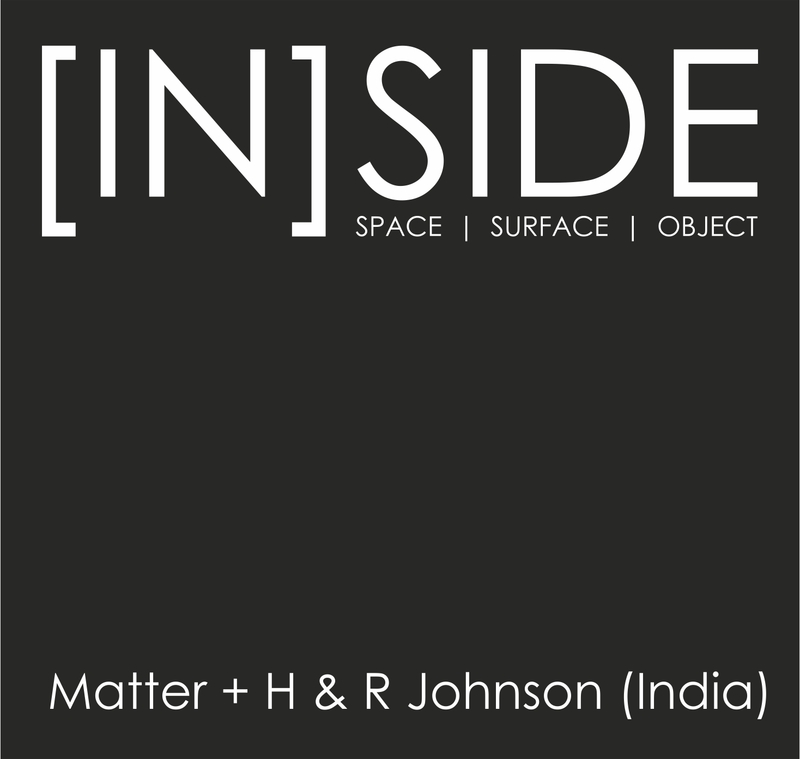 Do write to us at think@matter.co.in. We look forward to hearing from you.